You’ve been watching it come together! Now please join us for a celebration to acknowledge the glorious work of the building crew, the generous support from numerous local people and businesses, the completion of the Gabriola Arts & Heritage Centre development project, and the work of the late Jeff Molloy, who inspired and led so much of this project. 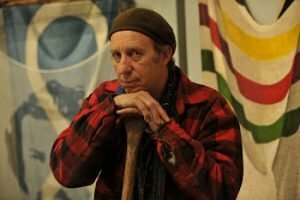 We’ve gathered art created by the late Gabriola artist Jeff Molloy for an exciting and eclectic show at the Gabriola Arts & Heritage Centre. 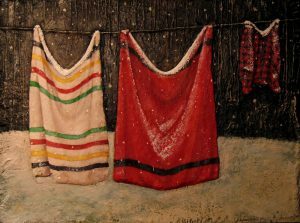 Come enjoy Jeff’s paintings and mixed-media work from various styles and eras. Ribbon-cutting. Raffle (see below). Rousing speeches. Guided tours of the Jack Pine Cabin. An exhibit of Jeff Molloy’s artwork from local collections. General merry-making and celebrating. 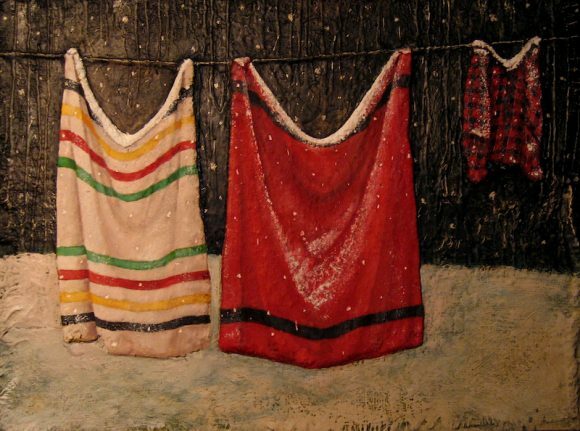 YOU CAN WIN a limited edition of a mounted giclée of Jeff Molloy’s beloved painting, Canada’s Clothesline. This giclée is the grand prize. Other wonderful prizes are available to be won. Where: Gabriola Arts & Heritage Centre, 476 South Rd. Raffle tickets available at North Road Sports and from GAC Board members. Look here for a list of board members with contact information. The Jack Pine Cabin was built through the generous and essential support of the Island School of Building Arts, Arbutus Building Supplies, Island Home & Garden, and a Job Creation Partnership Project funded by the Government of Canada and the Province of British Columbia.